Open Spacious Floor Plan! Location-Location A distinctive property now available in a choice neighborhood. A newer built home with all the upgrades! 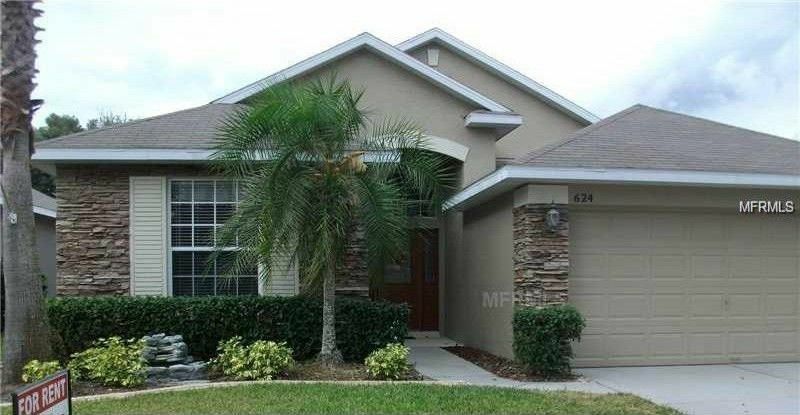 Located in a peaceful, gated residential community with community amenities. Great schools, close to shopping, easy commute/access to 17/92 within 1/8 of a mile & I-4 just minutes away, approximately 25 minutes to the beaches. Interior offers large inviting foyer, entertainment size living room, dining room, a "nothings missing kitchen" that is a pleasure to cook in, like new stainless steel appliances, granite/stone counter tops and cabinets galore! Split bedroom floor plan, master suite offers a private place for peace & quiet, luxury size master bath with garden tub, separate shower & double vanity. Walk-in closets, closet storage systems, plenty of space for storage! Contemporary style home & floor plan offering volume ceilings with crown molding, interior laundry room washer/dryer hook up, two car attached garage, large covered & screened Florida Room/Lanai overlooking fenced backyard, lush lawn & beautiful mature landscaping. Prime location, quality workmanship, a home like this is not available very often, a really fine home you should see today!